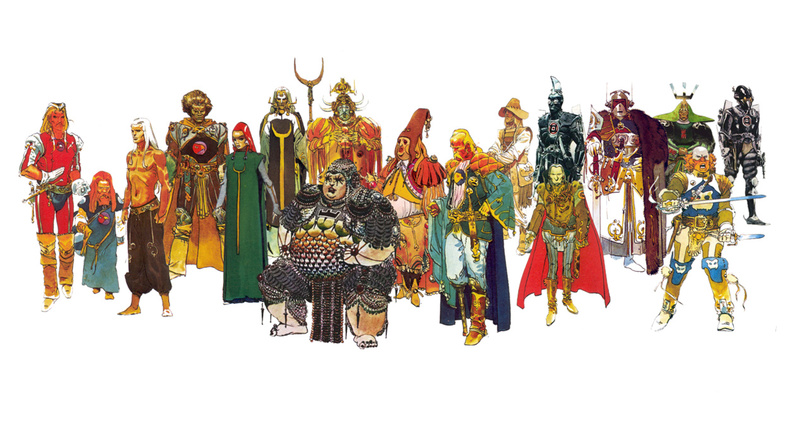 Frank Herbert’s Dune has always sustained a climate hospitable to bizarre visual interpretation. From Mobius’ and H.R. 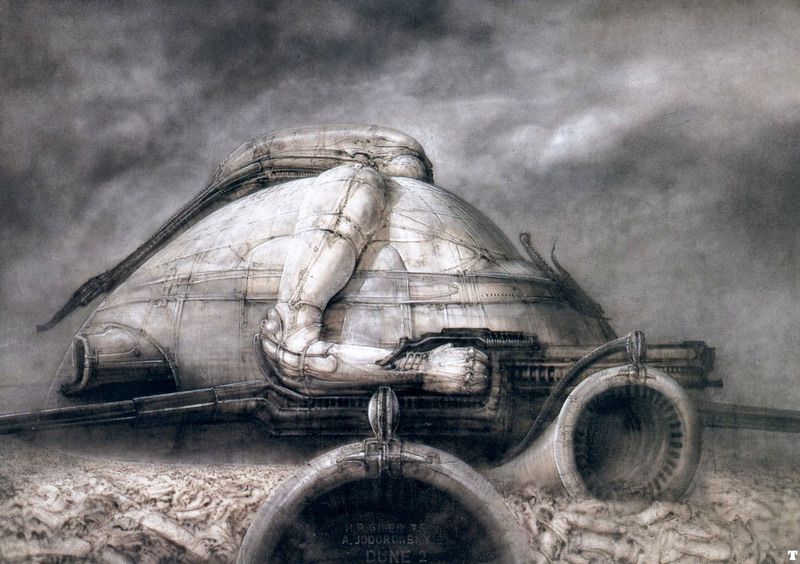 Giger’s unused concept art for Alejandro Jodorowsky’s unfinished movie adaption to David Lynch’s moody art deco version, a book series about warrior-zealots living on a desert planet infused with space-bending worm poop just seems to invite strange visions. The stillsuits are unsettling looking, an intimate exaggeration of anatomy that gives the viewer the sense of seeing something they shouldn’t. Rhodes is the current lead concept designer for Bioware and worked extensively on Dragon Age series. 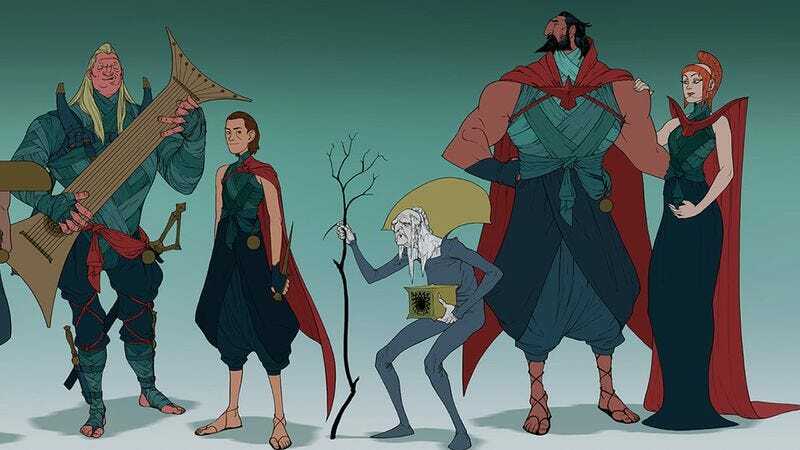 His personal portfolio page has larger images of his Dune illustrations, as well as some great Dragon Age concept work.